Being green means above all else not to waste. In the garden, this means to avoid wasting water, to recycle waste and the remains of the garden in the compost, and to wisely dispose of plastic pots, soil bags, etc. The next rule is important: do not harm the environment! It means to avoid chemical fertilizers that spread in rivers, oceans and wetlands and not to plant invasive species that could destroy some native varieties. Pesticides and herbicides tend to kill many more creatures than the one or two insects you are trying to get rid of. Finally, the eco-garden gives back! By creating a friendly wildlife habitat, you provide food and shelter for birds, butterflies, lizards, ladybirds and other creatures. By including edible products in your garden, you can also produce delicious fruits and vegetables for your family and friends. Ecological gardening is about working with nature, not against it. Even in the city and without a garden one can cultivate aromatic plants, vegetables, fruits and flowers. 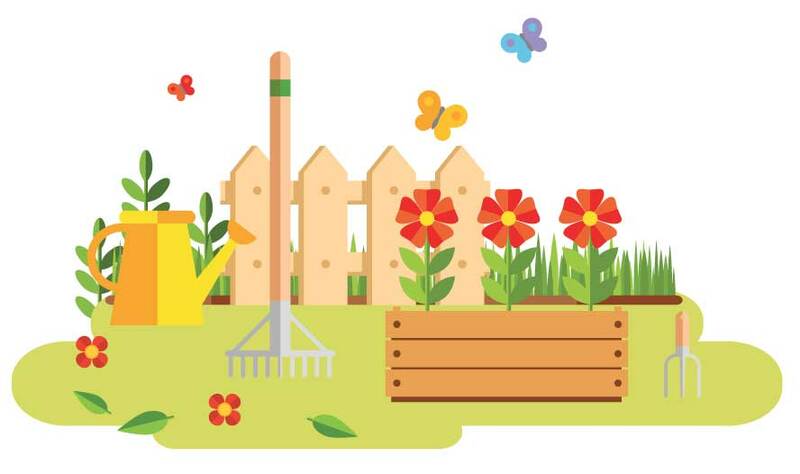 But while gardening and vegetable garden are back in fashion, the practices of individuals are not always respectful of the environment: too many unnecessary pesticides or too little biodiversity because of the artificialization of the garden for example. When you decide to garden sustainably, you must accept to give back rights to nature and tolerate a certain degree of infestation that does not harm the result, before intervening, and favour manual and natural interventions. It also means accepting fruits and vegetables that may be smaller and a less abundant harvest, but also a healthier one!